I’ve been wanting to reread this series for like two years. No lie. It’s been 6 or 8 years since the last time I read it, and I remembered really liking it, but not much else. But guess what? NEW BOOK! So yeah, just prior to the release of Shadow Study seemed like an excellent time to get my reread on, and guys . . . it was even better than I remembered it. Yelena, a self-confessed murderer is spared from hanging when the Commander of the military governed nation she lives in needs a new food taster. The last one died of . . . poisoning. Go figure. Valek, the head of the Commander’s security offers her the position, and when she accepts Yelena discovers that he will also be responsible for her training, BUT . . . his training methods can best be described as . . . trial by fire. I believe he says something like, “if you can survive this, nothing else will accidentally kill you, and you won’t be a waste of my valuable time and effort,” just before dosing her with the moste potente poison (<-----HA! HP reference!) he has available. Nice guy, that Valek . . . But Yelena is both stronger and smarter than she appears, and she not only survives the poisoning, but thrives under Valek's tutelage. And if that was all there was, well . . . that would be boring. But that's not all. Yelena has secrets. Like the reason why she killed the only son of her benefactor, one of the eight Generals directly under the Commander in rank. A General who is distinctly unhappy about her avoiding the noose. Yelena is also unsurprisingly world-weary. BUT. Despite her best efforts, she's unable to snuff out the fragile flame of hope that burns inside of her. Hope for a better life. Hope for someone to trust. Hope for something as simple, yet, previously, as unattainable as a friend. In Poison Study, you grow with Yelena as she grows, begin to trust as she trusts, feel the bitter disappointment of betrayal when she is betrayed, and barely dare to allow yourself to hope as something more than friendship begins to blossom. Don’t ask me with whom, b/c I won’t tell you, but it is . . . lovely. And all of this is happening within the unfolding mystery that’s detailed quite nicely in the blurb, so I won’t rehash it. On the surface, Poison Study probably looks a lot like every other YA fantasy out there, and it admittedly doesn’t stray far from the standard and acceptable elements. But Snyder has created a world with characters who make you FEEL what they FEEL, who you want to triumph, and fear for when failure seems imminent. 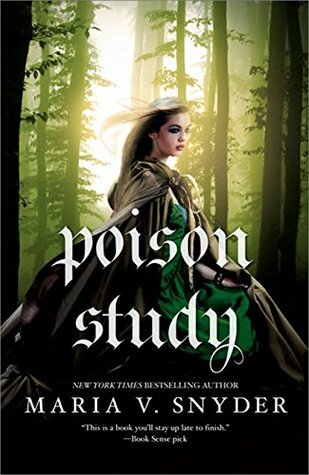 I’ve never denied being a character-driven reader, and Poison Study is a marvelous example of the kind of book that really, really makes me happy. Highly recommended. Hi Jess, I have missed your reviews so much! I recently posted a picture of unread first books on Instagram and it came back with a resounding vote: read Poison Study! So it was great to hear a bit about it. I love the sound of Yelena and the growth of her character, definitely going to pick this up some time. Thanks for the review! Jeann recently posted…The Sky So Heavy by Claire Zorn Review: Fact or Fiction? This is one of my favorite re-reads. Whenever I seem to be in a reading slump I grab this series to help get out of it. And that is exactly why I will never stop rereading old favorites, no matter how out of control my TBR becomes 😉 SOLIDARITY, lol. Since ever I have wanted to read this series, but for some unknown reason I haven’t read it. I have Shadow Study, I haven’t read it yet…. when I requested it I thought it was a new/different series. Now I wonder if I have to read previous three books before reading it or if it will work well as a stand alone. Honestly, I think you should read this series first. I have the Shadow Study ARC too, but I haven’t read it yet, BUT there are a couple in between novellas on the authors website, and they seem to be setting up things for the new book, which I took to mean it was a continuation of the old plot line . . . I’m not positive, but that’s the impression I got. This is a popular series, I’ve seen it on a few blogs but haven’t read it yet. It’s pretty great that you enjoyed it even more the second time around. I like that the heroine grows throughout the book and the mystery aspect. I’ll have to check these out, I haven’t read any fantasy books in a while. Great review Jessica! This is a great series to start with if you haven’t read fantasy in awhile. It is all the good things about the genre (and in general 😉 ). I read the first two books in this series, but never the last one! I need to catch up before Shadow Study comes out! I agree that this book could sound like a typical YA fantasy, but it definitely stands out! Why?! Why would you not read the last book?! Yay! I love this series! I am so gald you read and loved it too Jessica! LOVED it! And I’m so glad you did too! I’ve been meaning to start this series for quite a while since I loved her Healer series, and now seeing how you loved this book even more in the re-read? I must push it up on the reading pile for sure! Pili recently posted…Waiting On Wednesday #79!! Glad you finally got to read it. I find ebooks tend to get lost in my kindle. LOL Happy reading. Yeah, that happens to me too. All the time, LOL. From the summary I didn’t expect the book to be so good! Your review definitely convinced me, awesome review, Jessica! Definitely a good start 😉 And I don’t know about reading order for the new book, but I have it, so I’ll let you know! I know. Sadly very few of the books I’ve reread from waybackwhen have even lived up to my memory, let alone surpassed it. I love, love, LOVE this series. And am so excited for a new addition to come out. Can’t wait!!! And great review btw! We’re in agreement about how amazing this series was upon re-reading! Kinda expected it to disappoint, tbh – but it rocked my socks off. Playing manhunt in the forest as a training exercise <— still one of my favourite training scenes in fantasy. Ari and Janco are everything…I want a spin-off series about them SO BADLY. I'm also loving the revamped cover artwork for this series – looks like it matches the artwork for Shadow Study! Manhunt is the forest was the BEST. And I’m pretty sure Ari and Janco are going to be pretty important to the new series based on the in between novellas on the author’s website. Have you read them? They made a big deal about Janco in particular. I’m so excited that this series has new book, YAY! 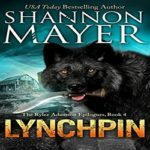 I listened to first three books a long time ago, and I loved, loved the first and second book, I didn’t enjoy Fire Study as much as the first two books, but I think I was looking for a lot more romance in my listens back then. I think that if do a re-listen (which I will) I probably enjoy it a lot more now that my taste has changed. I totally agree with your review, this is a great YA fantasy novel. Okay so with that out of the way we can get to the more important part, like the fact that you re-read the series and remembered how awesome it was! I read this one a couple years ago as well (but not as long ago as you did) and I still remember how much I loved it. If I had more time, I’d be re-reading the entire series but yeah. I remember when I found out Shadow Study was coming out… I literally jumped up and down. I am so excited to readddddd it and to be reunited with one of my favorite ships in the world.. I might not have jumped up and down, but I definitely clapped like a seal, and VALEK IS NOT YOURS!!!!! I have all her books on my wishlist. I’ve read the Healer series and now I need to read them all. I’ve heard great things about this book and I’m glad you enjoyed these characters. It is what I enjoyed in the other series. This is a new to me author and series. Sounds like she is stronger than they expected. But the hey if the poison I just gave you doesn’t kill you then you might be worth my time, aspect would just make me mad while reading it but make me want to read more. Thanks for the great review, you’ve made me want to read this too. It’s a really good series, and yeah, the poisoning part seriously ticked me off, but the characters change so much from beginning to end, that if it wasn’t for handy-dandy highlighting, I’d have forgotten about it, LOL. I really enjoyed the first 3 books in the series and although I would love to re-read them, I probably won’t. Did you feel like there was enough recap even though you didn’t re-read the first 3? I am happy to hear you enjoyed this one and am looking forward to reading it! I did reread the first three. This is the first book in the first series. I wanted to reread them before reading the new book. Oh wow I must have been half asleep when I left that comment. I totally thought this was a review of Shadow Study. I am sorry that comment didn’t make sense at all. I think it’s because of the new cover style I haven’t seen around much? I might have to see if I can find time to re-read these books as well! It’s such a great series. Oh man, I really need to go back and re-read this book too. It’s been years, but I really loved it on my first read through. I’m excited to see what Snyder plans for the new addition to the series. Poison Study sounds wonderful, Jessica. I, too, am rather fond of the character driven novel, and I’m really intrigued by Yelena and her life. I’m so happy that her story was even better the second time around! 😉 I’ll add this series to my tbr. I go through phases like that too, and this is definitely one of the good ones in YA fantasy. I have read this book a few years ago, and did not really like it, so I never read the rest of the series. It is still on my shelves though, and I am determined to try it again someday and hope to read the rest. Perhaps my mood is different this time. That’s one of the few that I haven’t read, so I can’t compare them for you, but I did really love this one. I love it when re-reads turn out even better than we remember! This one has been on my list for awhile, but I’ve never gotten around to it. I kept debating, wondering if it was worth my time. Your review makes me think that it IS definitely worth my time! Sounds a lot better than I thought! Great review! Thanks for sharing! I really liked this series, though it got a little…odd near the end. I can’t even imagine being a food tester, though I bet it’s better than dying (until you, well, die from poisoning). Mary recently posted…Mini-Swarm Reviews: It’s a mystery! I love how much you love this book. It was one of my favorite series and I am so excited that Snyder decided to open that book series back up! I think the Study series is just one of those books that doesn’t necessarily have that one big thing but it is deeply and immensely satisfying nonetheless. I need to reread this series before picking up the fourth book. Me TOO. So excited that I reread the first three books, LOL. I enjoyed this series! I don’t read much YA, but one where the protagonist is a strong female being trained as a poisoner? I couldn’t resist. Exactly. How could it go wrong?